What a surprise that batter can sit for over an hour, I always get it in the oven as soon as it’s combined. 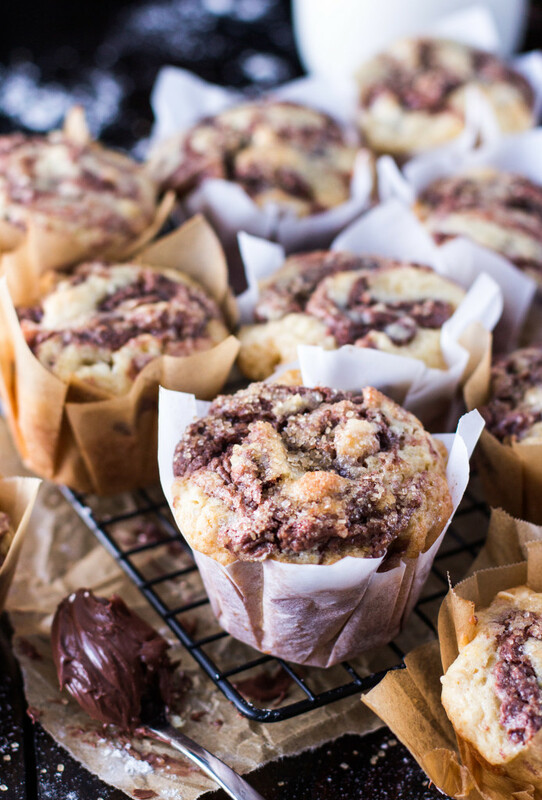 Thanks for answering the riddle of how to make big, amazing, coffee house style muffins! 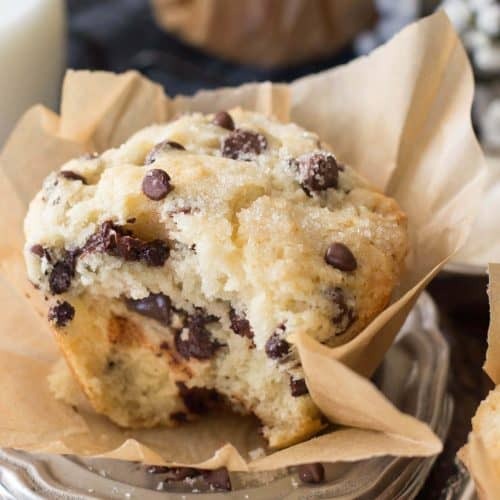 Best muffin recipe I’ve ever tried! Can’t wait to try your other recipes! I’ve made these about 100 times and always get asked for the recipe. People love them! These are delicious and soft and still has that beautiful bakery top! These were tasty and delicious… I had one problem though. All my chocolate sunk to the bottom of the tin and the top was just the rest of the batter. I used regular chocolate chip sizes…. was that probably why? Overall really good. Hmm, regular chocolate chips should have been fine. The batter should be thick enough to suspend them. I’ve never had that happen, I’d ask if maybe the batter was over-mixed or if any of the liquid ingredients were over-measured (which may have thinned out the batter and caused the chips to sink) but I really can’t otherwise imagine why that might have happened. I”m glad you enjoyed them otherwise, though! 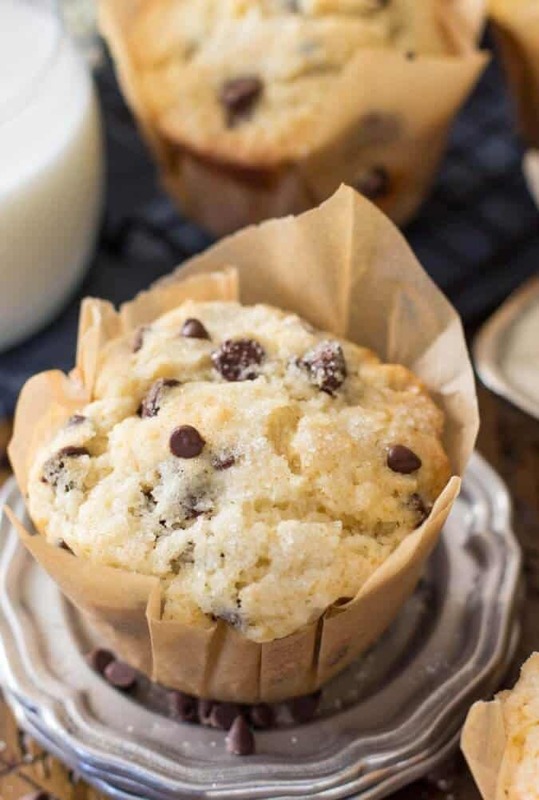 If you toss the choc chips in just a touch of flour before adding to the batter, they will suspend and not sink. We can’t drink cow’s milk. Can I use almond milk? Thanks! 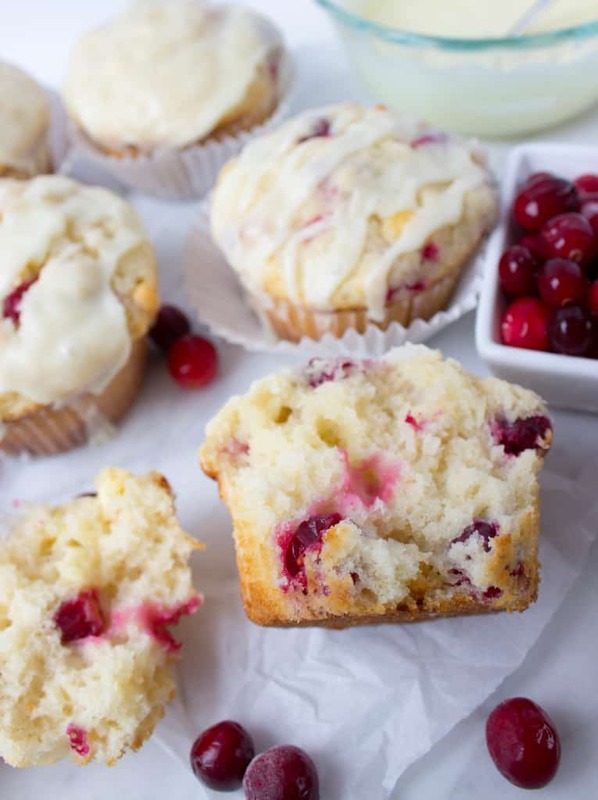 These are fantastic, and this has become my favorite muffin recipe. Thank you. I’m so happy to hear this. Thanks for commenting, Brian! Well I thought it was to good to be true but I was so mistaken. My husband and 4 kids were begging for more of these before they even fnished the first one. I too used the buttermilk substitute and they came out divine. Congrats on this receipe because I believe all your hard work and research has officially won you best ever recipe. Thank you so very much for sharing. These are delicious! I made mini muffins with them and my family loves them. Thank you for a very yummy recipe. Anyways if you create one or have an idea I’d love to hear it!!! How would I turn these into chocolate muffins? P.S. Already made them according to the recipe and they were amazing. 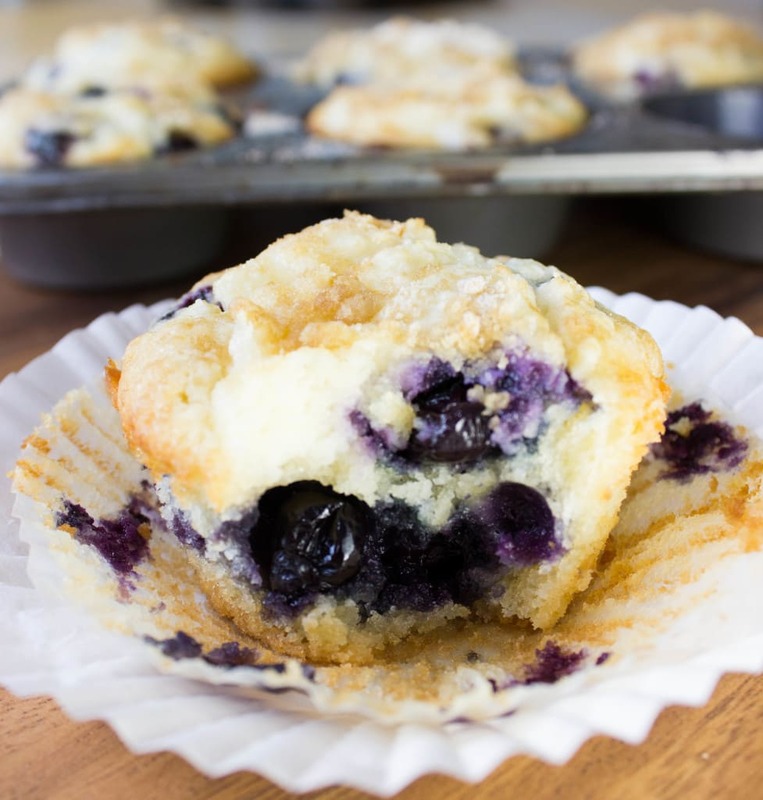 Can I substitute chocolate chips with blueberries? 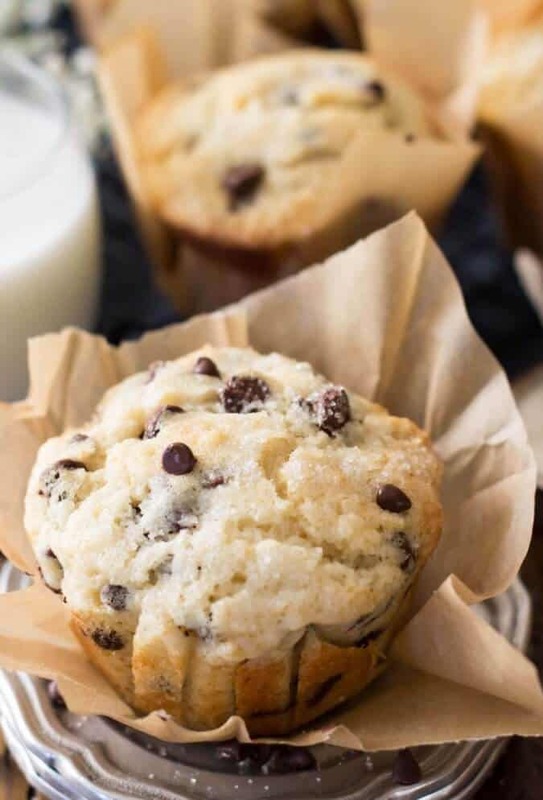 I used your banana muffin recipe and absolutely loved it. 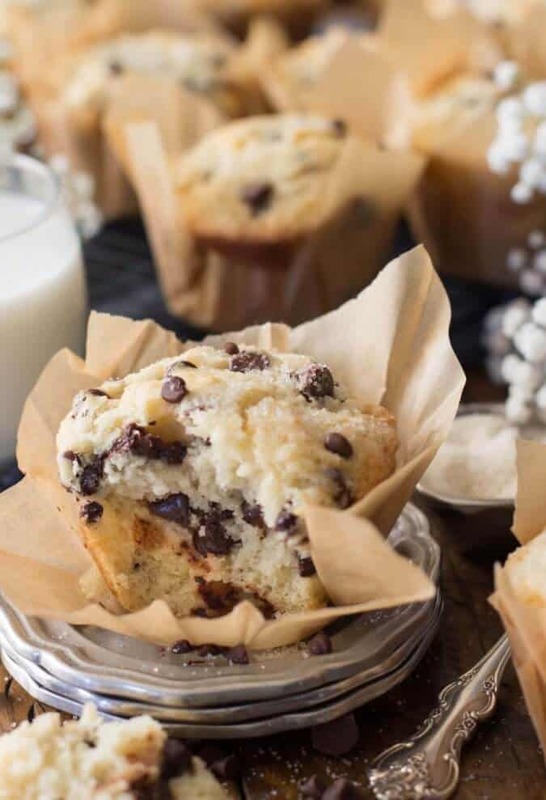 I want to make mini chocolate chip muffins and I want to try this recipe. But how would the baking time change? 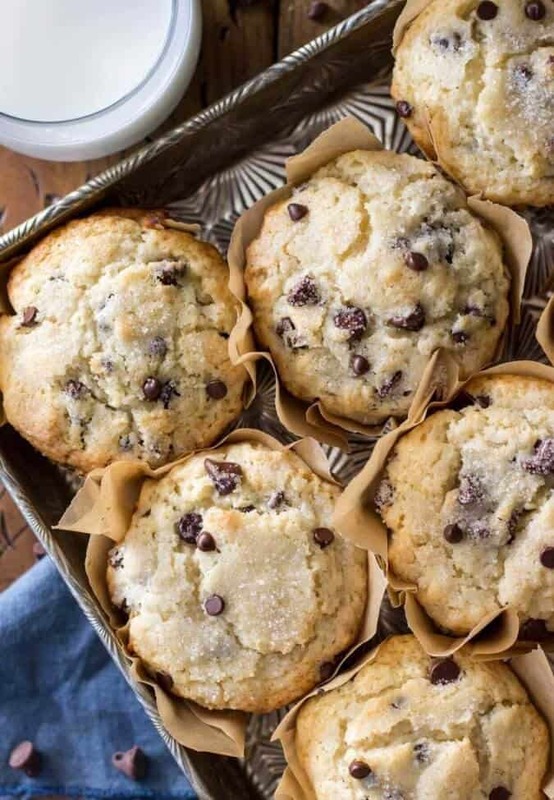 I have not tried making these as mini muffins. I am not sure exactly how long they would need to bake, so just keep a really close eye on them. I’m curious to know how the recipe would change if I added bananas. 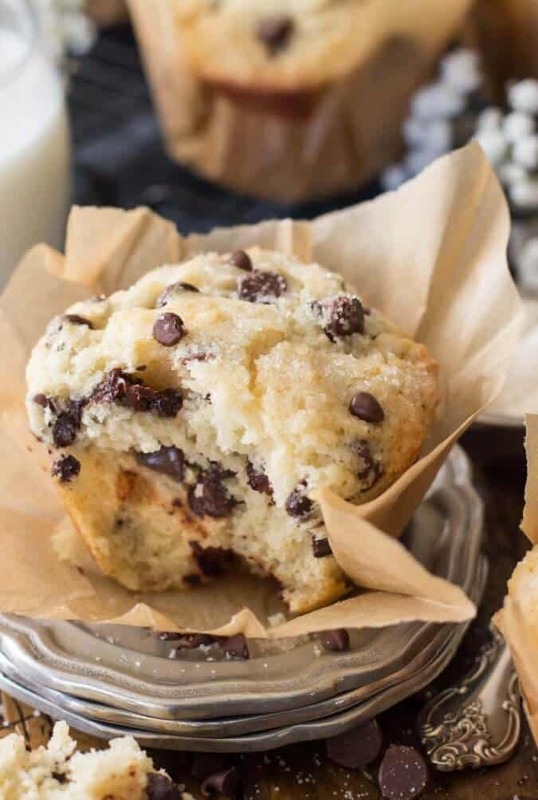 It needs a few adjustments, I would recommend using my banana muffin recipe and adding the chocolate chips. Thank you so much for this recipe! I used the vinegar and milk substitute and they turned out DELICIOUS! My kids said they were BETTER than our local bakery! Perfect, used exactly the same recipe with no alterations. I left the batter for an hour before baking. I used an extra deep muffin tray (not the jumbo size muffin tray) and got nine muffins out of the mix. I couldn’t set my oven to the exact same temperature so did 8 minutes at 220 and then 10-12 minutes at 180 (fan assisted). OMGoodnesss, they are yummy, my son was in heaven! Thank you for a wonderful recipe!